When life gets nutty, it can feel like your “logical” side and your “spiritual” side can’t get in sync! It’s totally normal to have this push/pull of WANTING to live a spiritual lifestyle, but feeling sucked in and anxious when life gets tough! Believe me, I get it. These feelings while you’re on your spiritual path (or during a psychic awakening) can feel like a big bully in the school yard. They taunt you, wait for you to mess up, and seem to always be around to kick you when you’re down. And the more you practice, the easier it gets! Pro Tip: Different things work for different people. So, what works for me might not work for you, etc. Keep trying different techniques (or a combination of them) until you find what’s most helpful for you. I use essential oils for almost everything now… seriously! I even use clary sage on my tummy to alleviate cramps! 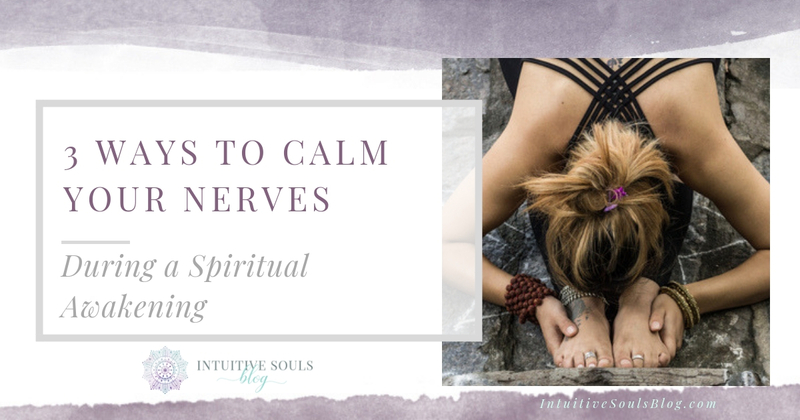 But one of my favorite ways to use essential oils is to relax and calm my frazzled nerves… which helps me reconnect with my spiritual path and soul. I diffuse essential oils when I meditate and journal, sprinkle a few drops in my salt bath, and even use a touch on my pillow. Lavender. I seriously adore this classic essential oil. It’s fantastic for stress relief and relaxing. I put it in my bubble baths and even on my skin (always mixed with a carrier oil, of course)! If you want to get out and about, rub a little on your wrists and take the peaceful scent with you. Lemon. You probably don’t think of citrus when you think of anxiety relief, but the zesty smell can really wake you up and bring your brain back online! Chamomile. People have made chamomile tea to relax for years — this oil brings all the same benefits. I love a good cup of tea, but I diffuse this oil if I’m out and about or not wanting to sit down and drink a whole cup. Frankincense. I originally had frankincense in my cabinet for infections and cuts, but it’s also great for anxiety relief. Frankincense draws out inner peace and strength. Plus, it has a really earthy scent and can help pull you back into the present. Peace and Calming. This oil blend was developed specifically for this purpose! It’s made up of Ylang Ylang, Orange, Tangerine, Patchouli, and Blue Tansy. All of these oils are great on their own, but the combination brings the best of everything and creates a unique and powerful scent. Jasmine. If you’ve ever been around a jasmine tree, you know this sweet and gentle scent! It’s known to invoke feelings of joy, peace, calm, and self-confidence. Win-win! Rose. A LOT of rose petals go into making this oil, so it’s a little costly, but it’s so worth it. Roses have a natural way of uplifting spirits, bringing joy, and promoting peace. This isn’t one that I dump in my bubble bath, but I do put some on my wrists if I’m feeling down so I can catch whiffs all day. Sandalwood. This oil is actually a natural mood enhancer! Nifty, right? It’s known to lift spirits and bring emotional balance. Vetiver. If you don’t work with oils a lot, you may not have heard of this one — but it’s amazing! It has an earthy fragrance and is perfect for deep relaxation. You can also mix it with lavender for an extra boost or drop some in your bath. Basil. The smell of basil reminds me of my mom’s homemade pizza — so it immediately brings me some joy! But it turns out, there’s a natural reason for that joy. Basil is actually said to relieve anxiety symptoms and provide mental clarity. BTW, if you’ve never used essential oils before, don’t worry. This newbie essential oil post covers everything you need to know! The act of meditating takes us out of the chaos and puts us in the present. And friends, being present/mindful is so important when we’re on a spiritual path! Feel out of touch with our Higher Self and spiritual health. By putting ourselves in a witness state of mind (watching rather than interacting with thoughts), we can start to come back to the present moment, give our brain a break, and reclaim our spiritual health. Make the commitment to listen to the voice for however long the meditation is. If your mind starts to wander, gently bring it back to the moment. Don’t forget to have your diffuser going with an oil from the list above to really elevate your mediation. This may sound like the last thing you’ll want to do when you’re in mid-overload, but the gentle distraction and movement can really help pull you back into the present. When you are feeling happy, your vibration raises and you become more in-tune with your soul! Yoga works well when you’re feeling anxious because it’s very gentle and causes you to be mindful. Plus, yoga incorporates a lot of deep breathing which can really help bring down anxiety levels. If yoga brings up memories of failed poses and $55 leggings, try taking a walk outside! Getting out and about in nature has healing properties no matter what’s going on. The earth is grounding, the fresh air offers perspective, and it gets you ‘offline’ (for the love of all things green, turn the phone off!). While you’re out there, be mindful and listen to nature. Do you hear the grass moving? The branches blowing? Birds singing? Allow yourself to be caught up in the moment and really enjoy the sights and sounds. I can almost guarantee this will help you feel reconnected with your spiritual path! Self-love is a lesson that we ALL eventually learn while on our spiritual path. So please, cut yourself some slack. If you’re sitting there trying to meditate, and it just doesn’t feel right, get up and take a walk! If you’re out walking and the humidity is just WAY too much (curly hair probs), go inside and try some yoga. Another great option is to get a psychic reading. 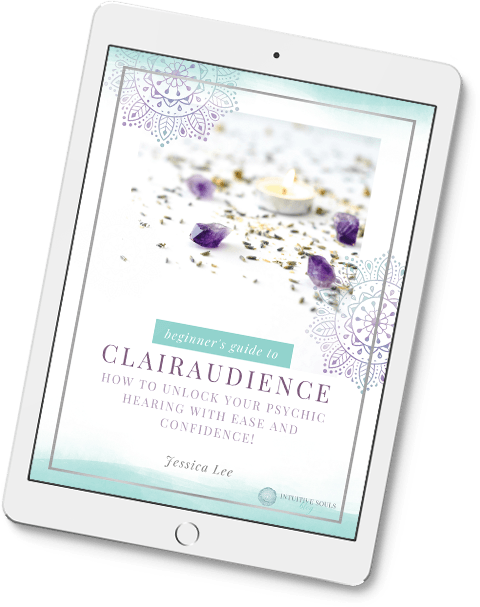 Believe it or not, getting a fresh perspective from an intuitive reader can be totally enlightening! If you are interested in a reading, these are the online psychics I recommend. If you prefer a phone reading, my top choice is here.